“Undoubtedly, the correct geographical term in history is the Persian Gulf,” | پژوهشهای ایرانی.دریای پارس. “The correct terminology(Persian gulf) is an emotional issue for many Iranians. Keeping the world’s most vital oil-exporting waterway named “Persian” is a national touchstone and highly emotive issue for Iranians. 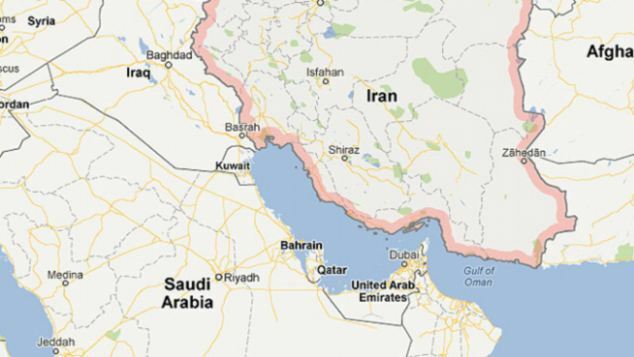 So there has been widespread anger in Iran in recent days after internet users spotted that Google Maps now has no name on the body of water that Iran insists must be called the Persian Gulf and nothing else. Iran sees the web giant’s omission as a politically-motivated attack. “The efforts of [global] arrogance [America] and its Arab allies to remove the name of Persian Gulf will result in its name becoming more durable,” said Bahman Dorri, a senior official in Iran’s ministry of culture and Islamic guidance. The waterway also touches Saudi Arabia, Kuwait, the United Arab Emirates, Oman, Qatar and Bahrain – the six members of the Gulf Cooperation Council (GCC) that call it the Arabian Gulf. “Google fabricating lies will not have any outcome but for its users to lose trust in the data it provides,” Mr Dorri said. The name dispute flares periodically, but the latest spat comes at a time of increasing tension between Iran and its Arab Gulf neighbours. Iran’s president, Mahmoud Ahmadinejad, infuriated the GCC last month by visiting Abu Musa, one of three tiny Gulf islands whose ownership is claimed by both Iran and the UAE. Iran believes there has been a pan-Arabist campaign since the 1950s, led by the then Egyptian president, Gamal Abdel Nasser, and later by the Iraqi dictator, Saddam Hussein, to call the waterway the Ara bian Gulf. At the height of the Persian empire of Darius and Xerxes the Great, ancient Greek writers called the stretch of water the Persian Gulf, and the name has stuck ever since. 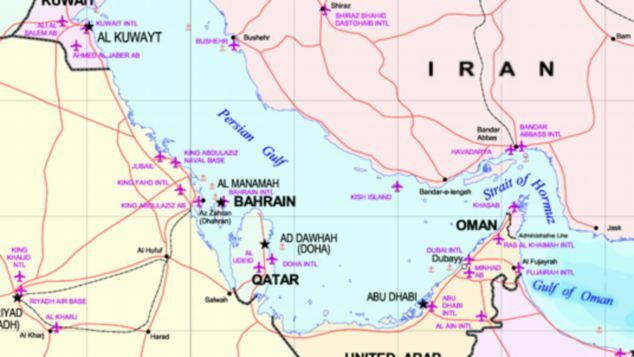 Today, the UN refers to it as the Persian Gulf, as does the UK and the US, although the US Navy, which has extensive dealings with Arab Gulf states, mostly uses Ara bian Gulf. “Undoubtedly, the correct geographical term in history is the Persian Gulf,” Sir Richard Dalton, a British former ambassador to Iran and senior fellow at the Chatham House think tank, said. “Iran recognises it’s largely international waters and they’re not laying claim to it as part of their territory in terms of hydrocarbon resources and so on. In 2010, Iran warned that airlines using Arabian Gulf on in-flight monitors would be barred from Iranian airspace. Google’s attempt to avoid controversy by simply not naming the waterway follows equally unsuccessful efforts by foreign news organisations and other bodies not to ruffle Iranian or Arab feathers. In 2004, National Geographic published a world atlas that, while acknowledging the waterway’s primary name as the Persian Gulf added Arabian Gulf in brackets. Tehran banned the American-owned magazine and its reporters from visiting Iran. TEHRAN (FNA)- The Oxford University Press in a letter extended an apology to Tehran for its mistaken use of a false name to refer to ‘the Persian Gulf’ in its Bright Star Pupil’s Book 4, stressing that any reference will be deleted in future prints. The Oxford University Press said its editorial board agreed that reference to the so-called Arabian Gulf, instead of the correct name Persian Gulf, needed to be removed from its Bright Star Pupil’s Book 4 and that it will ensure any reference is deleted in future prints. “On behalf of Oxford University Press, I would like to apologize for the inaccuracy in this usage,” Group Communications Director Anna Baldwin said. “Oxford University Press strives towards excellence in scholarship and accuracy in all our facts,” Baldwin told Cultural Counselor of the Iranian Embassy in London in a letter. While historical documents show that the waterway has always been referred to as the ‘Persian Gulf’,even by Arabs, certain government deliberately or mistakenly remove the word ‘Persian’ from the name of the waterway. Iran designated April 30 as the National Persian Gulf Day to highlight the fact that the waterway has been referred to by all historians and ancient texts as ‘Persian’ since the Achaemenid Empire was established in what is now modern day Iran. In July 2009, archeological excavations in the Iranian port city of Siraf yielded new evidence confirming the antiquity of the Persian Gulf title. The Iranian archeologists discovered Sassanid and early-Islamic residential strata as well as a number of intact amphoras used in sea trade during the Parthian, Abbasid and early Islamic eras, all referring to the waterway as the Persian Gulf. Abdel Khaleq Al-Janabi is a Saudi history scholar. From a scientific and historical point of view, it has been called the Persian Gulf since Alexander the Great. [It has also had other names, such as the ‘sea of the south’ and the ‘sea of Bassora’]. It’s this name that has been retained by history books and Arab historians, like Ibn Khaldoun and Ibn al-Athir. It’s also in treaties signed between the governors of the gulf and the British who dominated the region from the beginning of the 20th century. It’s true that the name of this gulf still stirs a lively argument. But, as a history scholar, I can’t support nationalistic slogans. To say, like some Arabs, that the Romans already called it the ‘Arabian Gulf’ is without foundation. Only the Greek historian Strabon, in the 1st century AD, had used the term ‘Arabian Gulf’ while talking about the strip of water that we today call the the Red Sea”. Abdel Khaleq Al-Janabi, a Saudi historian said “[f]rom a scientific and historical point of view, it has been called the Persian Gulf since Alexander the Great” and that it was “without foundation” to claim Romans named it “Arabian Gulf”. “Things didn’t change untilNasser came to power and the rise of Arab nationalism. The Arabs then began to use the name ‘Arabian Gulf’,” he added. The Persian Gulf has been so known since the 5th century BC. 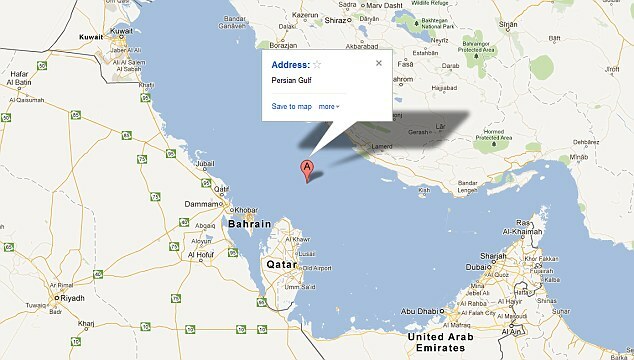 Iran has threatened to sue search engine Google over omitting the name ‘Persian Gulf’ on its Google Maps service. Iranian foreign ministry spokesman Ramin Mehmanparast said that, if Google did not restore the name of the Persian Gulf – the body of water between Iran and the Arabian Peninsula – it would face ‘serious damages’. Mr Mehmanparast told the semi-official Mehr news agency today that Tehran had already warned Google of possible legal action. He said: ‘Toying with modern technologies in political issues is among the new measures by the enemies against Iran, [and] in this regard, Google has been treated as a plaything.’ But Google reacted to the comments, saying that its maps service had never labelled the Persian Gulf. When asked by MailOnline if Google planned to include the title in the wake of Iranian threats, a spokesman said there were no plans to include the title on any amended map. A separate company insider told Mail Online that it was ‘definitely not’ a political decision not to have Persian Gulf on Google maps, and Iran’s assertion that Google had had the label removed was ‘simply wrong’. He added that, even in the wake of the Iranian threats, there were no plans to include the Persian Gulf label on Google maps. And he said that the label Persian Gulf AND Arabian Gulf were included in the more detailed Google Earth app. Iranians are highly sensitive about the name of the body of water, which has historically and internationally been known as the Persian Gulf. Some Arab states insist on calling it the Arabian Gulf. The issue has stirred up tensions between Iranians and Arabs. Typing Persian Gulf into Google Maps takes users to the body of water in question, and clicking on the red ‘A’ marker shows ‘Persian Gulf’ as the address. The Persian Gulf has been so known since the 5th century BC, when Darius the Great of the Achaemenid dynasty called the body of water ‘The sea which goes from Persian’. Around the same time, Greek writers also called it ‘Persikonkaitas’, meaning Persian Gulf. Other names have included ‘Persicus Sinus’, ‘Aquarius Persico’, ‘Bahr-i-Fars’, ‘Daryaye-i-Fars’, ‘Khalij al-‘Ajami’ and ‘Khalij-i Fars’ – all translating into Persian Gulf or Persian Sea. During the time of the Ottoman Empire, it was sometimes referred to as ‘Basra Kurfuzi’, meaning the Gulf of Basra – but it was only during the rise of Arab nationalism in the 1960s that the name become disputed. The United Nations has requested that only the term Persian Gulf be used to describe or name the body of water, confirmed most recently as the official title of the body of water at the 23rd session of the UN in 2006. ← اقیانوس هند و خلیج فارس به دریای رقابت اقتصادی تبدیل می شود.